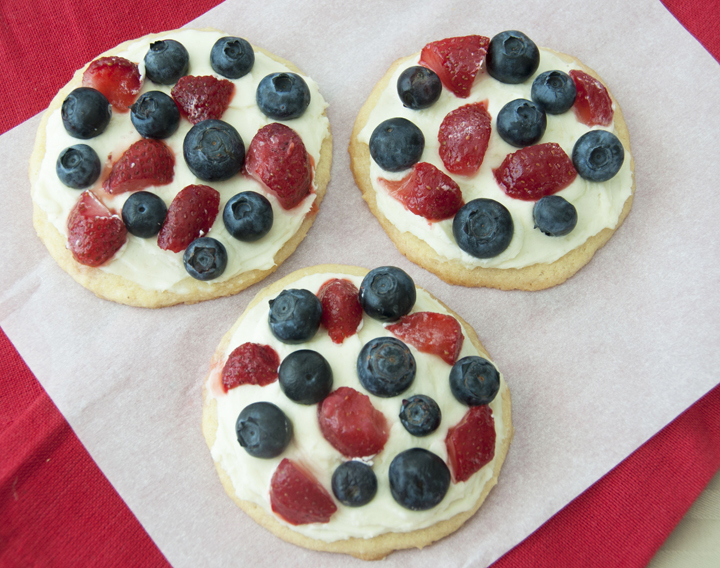 I think these mini fruit pizzas turned out really good and are undeniably patriotic. They are so cute and festive and everyone will gobble these right up. The sugar cookie crust with the cream cheese frosting was the perfect combination! These are easy to eat and very low maintenance for the holiday…your guests can just grab them and go. If you need a quick and easy dessert for the 4th I think this is the one you should go with. What kind of desserts are you making to celebrate the upcoming 4th of July holiday? Cookies: Place the butter and sugar in the bowl of a stand mixer and beat until well combined, about 2 minutes. You can also use a hand mixer. Add in the egg, yolk and vanilla to the bowl and mix until combined. In a separate bowl, sift together the flour, salt, and baking powder. Slowly add flour to the butter mixture and mix until combined. Do not over-mix! Wrap the dough with saran wrap (wrap well) and refrigerate for at least one hour. When you are ready to bake, pre-heat the oven to 350 degrees. Roll the dough out to 1/2 inch thickness, cut out cookies into circles, and place on a parchment or silpat lined baking sheet. Bake for 9-10 minutes or until cookies are set and just starting to brown around the edges. Topping: Beat cream cheese, sugar and vanilla with a mixer until well blended. Spread carefully over cookies so that they don’t break and top with fresh fruit. Enjoy! These are really cute Ashley! I made crepes that were kind of like this a few weeks back. 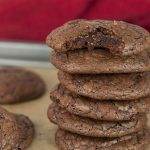 Love the cookie idea though- what a fun dessert for the holiday. 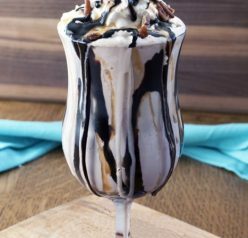 This is a great dessert to go along with the upcoming festivities! SO cute and perfect for the holiday! Nothing better than sitting under a spray of fireworks. With your fruit pizzas of course! Happy 4th! Of course!! haha. Happy 4th, Heidi! My youngest loves to be in the kitchen with me…ALL the time. So this would be the perfect thing for him to make! (Then he’ll eat it…bcz he made it himself!) Already pinned! So cute that he cooks with you!! These are so cute! 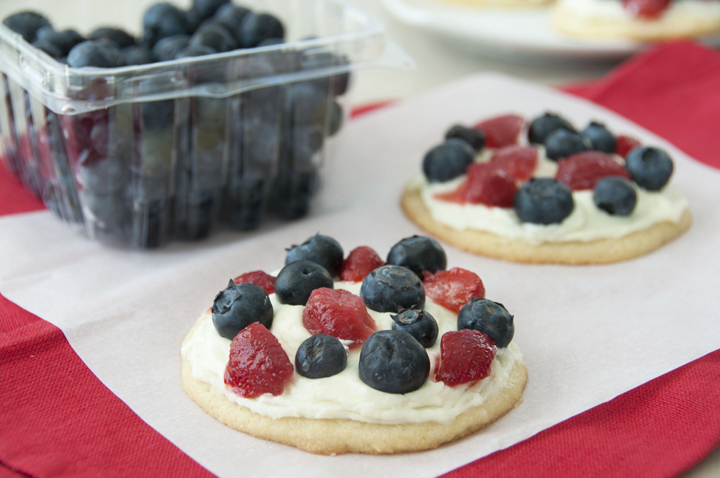 I love that you use a cookie as the crust too, they’re perfect for the 4th! These are so cute, Ashley! I love the little patriotic twist you put on them with strawberries and blueberries. Perfect for July 4th parties! I LOVE this idea for the 4th of July! These are so festive. 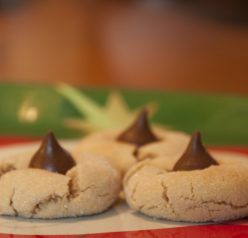 Plus, you can never go wrong with a good sugar cookie :). So festive and fun! I have something like this – but giant size – for my cookbook. YUM! I’m going to have to see what this giant size one you’re talking about is!! Thanks, Sally! Ashley these are so cute and festive!!! I absolutely love it! 🙂 I’m not sure what we are doing on 4th of July but we are attending a BBQ this weekend and am hoping to get a day off from the kitchen –yay! Hope you enjoy yours with your loved ones. I hope you get your day off from the kitchen…happy 4th to you! Really cute, love these little mini pizzas. So perfect for the 4th of July! Same to you, Bam! Thanks!! I’m hoping to have a dessert buffet. Maybe I’ll make these! I hope you do! You’ll love them! These are so festive for the 4th! They are quite simple to prepare as well. 🙂 Thank you so much for sharing. I love the portability for outdoor events. I really love that you eliminated the nondairy whipped topping. We are making these the 4th! I hope you enjoy them!! Thank you, Wanda, and happy 4th to you! These look easy and tasty. I’ll be with my family and this is something they will like. Ashley I absolutely love these! The fruits look amazing on top. Wow!